Gooseberries grow wild in Northern Europe, they thrive in cool, moist climates, which explains their prevalence here, and a notable claim of northern superiority: Scottish gooseberries were historically considered superior to those of England (conversely, English gooseberries were thought better than those of the Continent). Wild bushes were apparently the only native fruit-bearing plants of the Shetland and Orkney islands. Notwithstanding my enduring passion for the prickly little things, they are not the most beloved of berries. Perhaps because they tend to be impossibly tart. Or because they sport the most peculiar names. 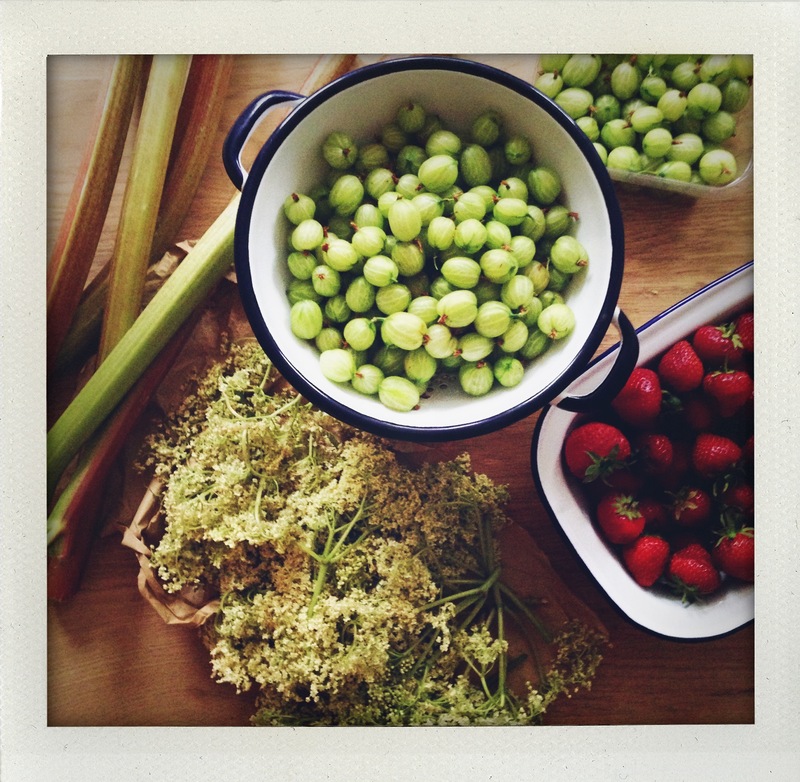 Gooseberries in England and groseilles à maquereau (mackerel redcurrants) in France. Those epithets probably linked to the rich dishes they initially accompanied. (There is another theory for the English name, which could be derived either from Scottish or Dutch origin.) In German they are guardedly called ‘Stachelbeeren’ — ‘prickleberries’ — an apt description, and not the most inviting one. 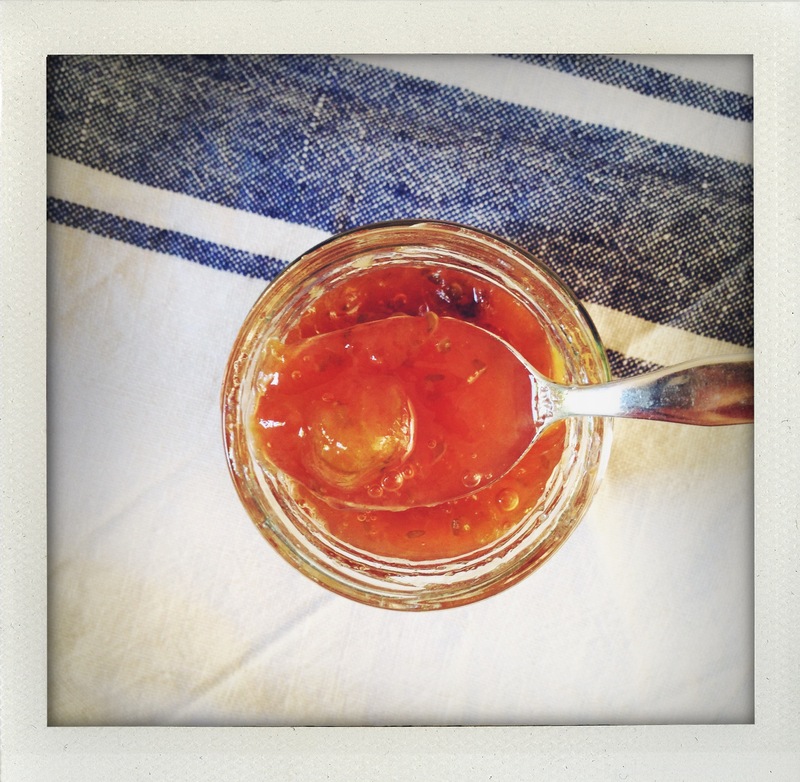 I can well imagine that gooseberry compote tastes great with a savory dish, a little like cranberry sauce, but when one compulsively buys over a kilo of berries as soon as they appear in spring, the best solution is jam. 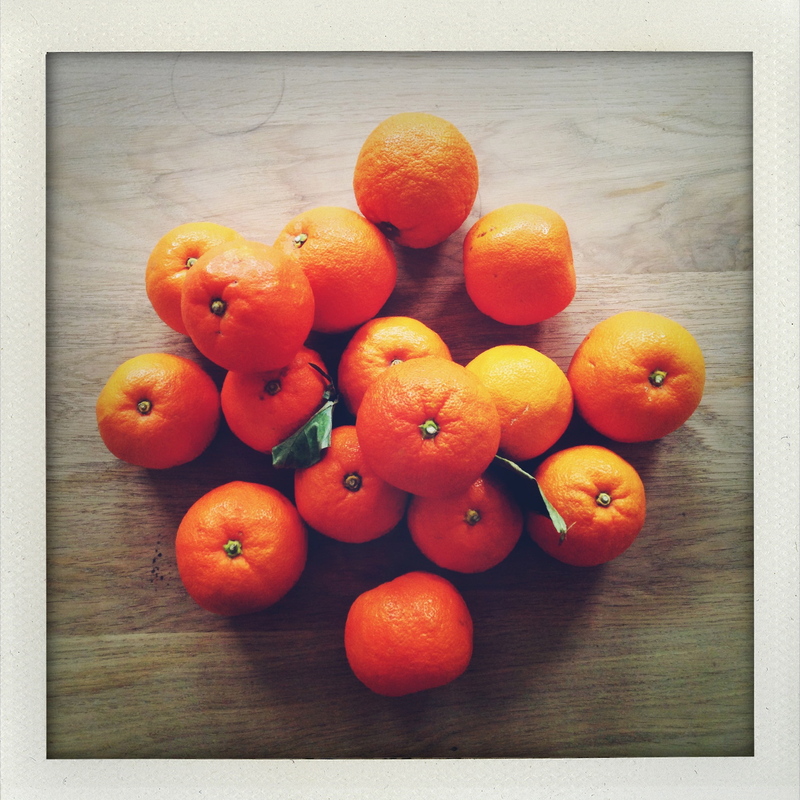 They pair remarkably well with elderflowers, which are in season coincidentally. 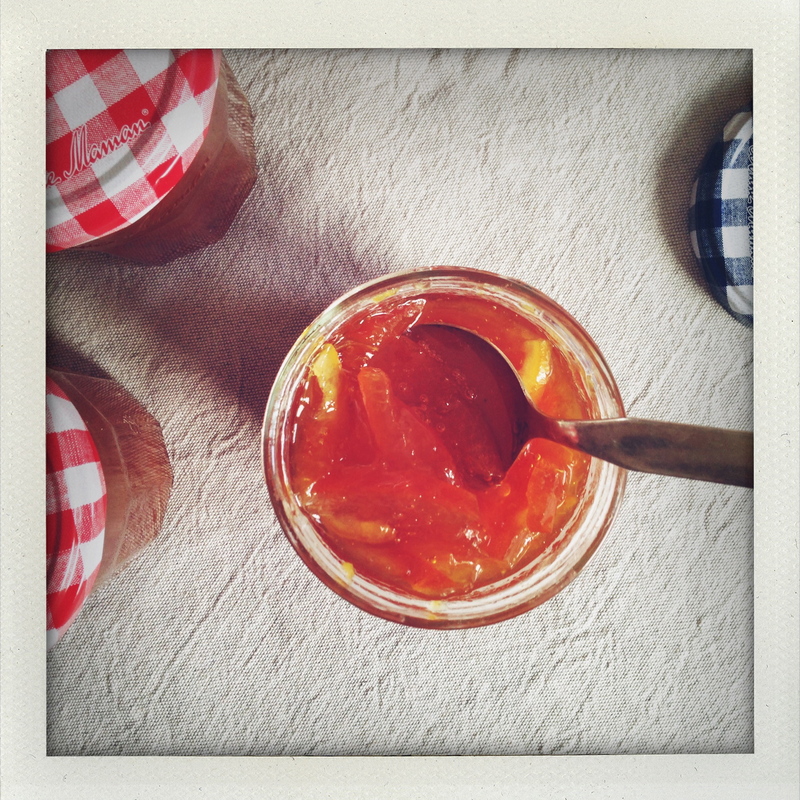 And so I’ve adapted Christine Ferber’s simple gooseberry jam. The result is very delicate. And deliciously tart. Rinse the gooseberries in cold water, strain, then dry in a clean tea towel (dish cloth). Rub the berries with the cloth very gently to remove the fuzz. Trim the stems and what is left of the flower. 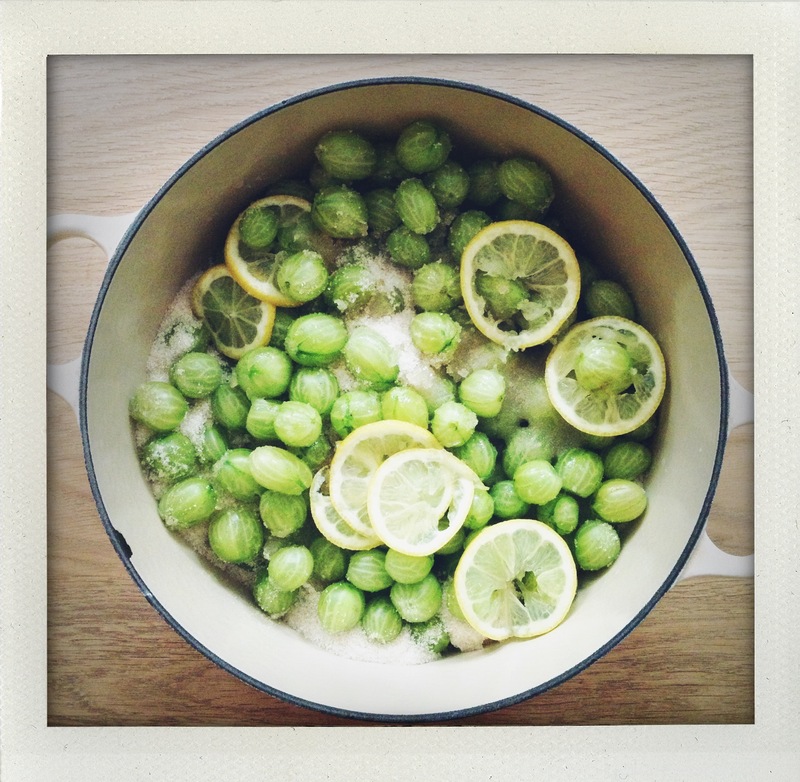 In a heavy, cast-iron or marmalade pot, mix the gooseberries, sugar, lemon juice, and lemon slices. Bring to a simmer and immediately remove from the heat and transfer to a large bowl. Inspect the elderflowers and carefully remove any bugs. Submerge the elderflower heads into the fruit/sugar mixture. Give a gentle stir to mix the aroma, then cover the fruit (and flowers) with a sheet of parchment paper and place in the refrigerator overnight (up to 24h hours). The next day, remove the elderflowers. 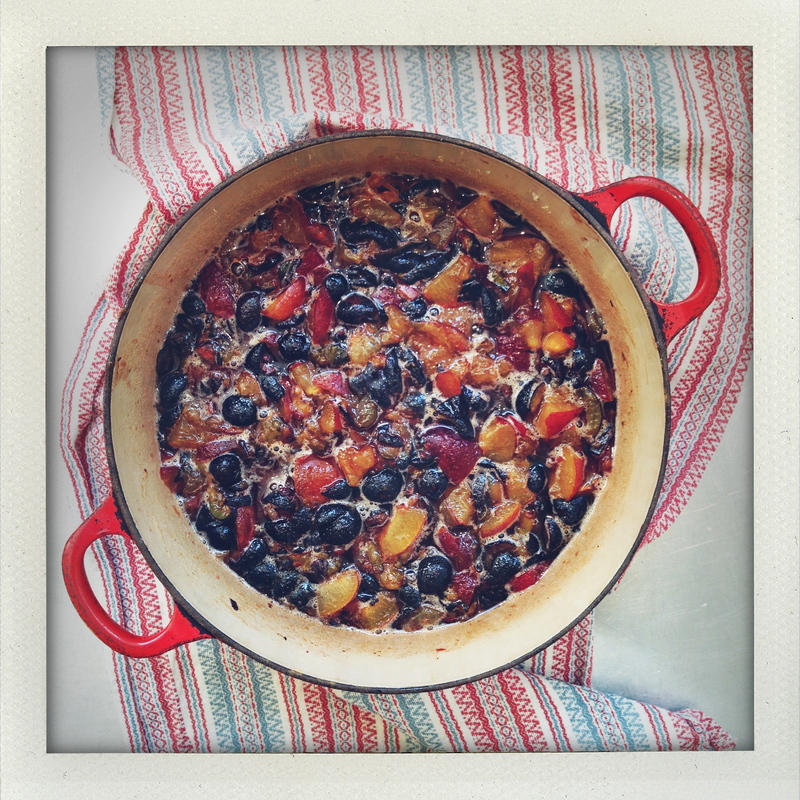 Transfer the fruit back to the cooking pot and bring to a gentle boil. Cook for 10 to 15 minutes, until the jam sets*. 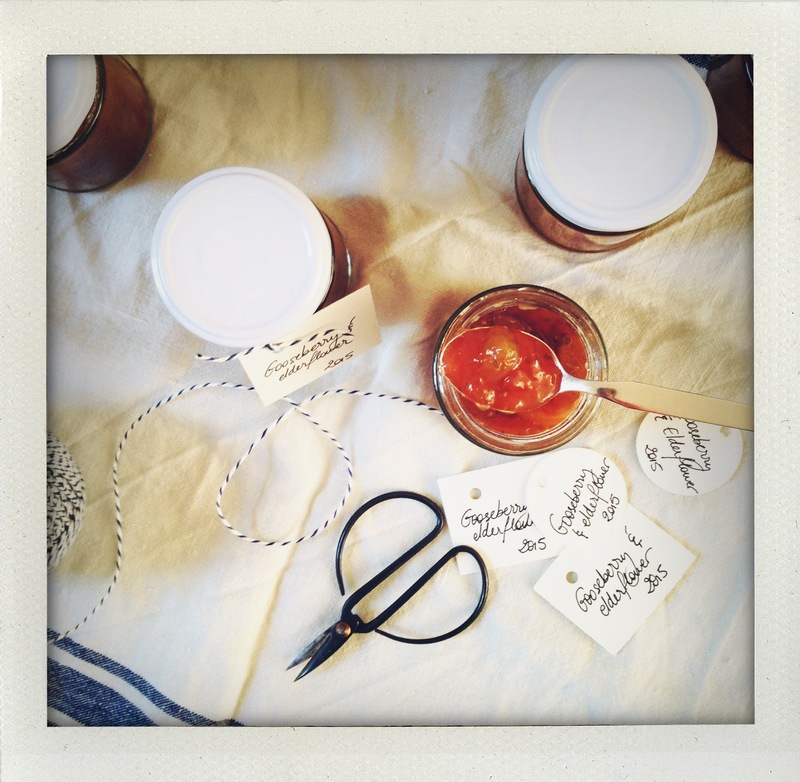 Stir frequently and don’t leave the room, this jam burns very quickly! Skim off the excess scum as it boils. *To test whether the jam has set, place a spoonful of jam in a small dish in the refrigerator, it will cool quickly and reveal its consistency. Boil about 12 small or 8 large jam pots in water for 5 minutes to sterilize. 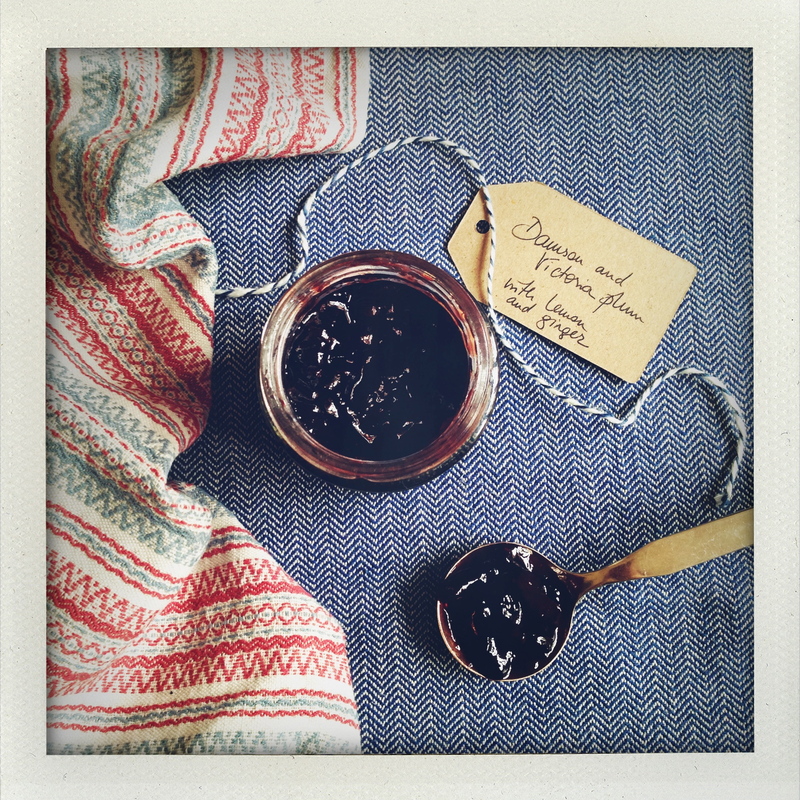 Once the jam has reached the jelling point, remove from the heat, spoon into jam pots, and close immediately. 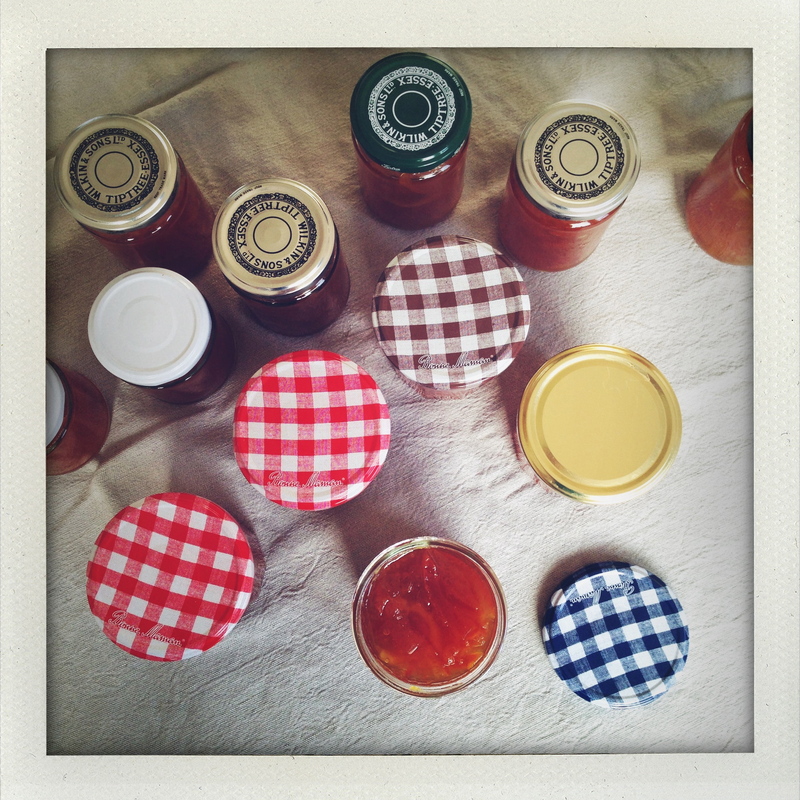 Try to keep the jam for a few weeks before opening, it gets better with time!